"marabout" shape the iron of the sides and dome panels have been hand drilled. Beautiful in the home or outside on a patio or deck. to give a three-dimensional effect. 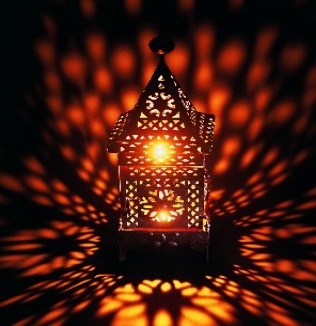 keep the candle burning despite the wind. 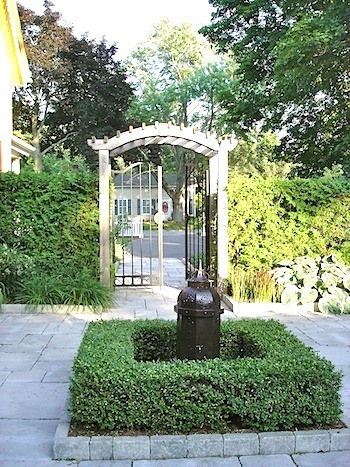 side panels has been hand carved, and the iron of the lantern can be left to weather pleasingly to a soft reddish-brown patina. 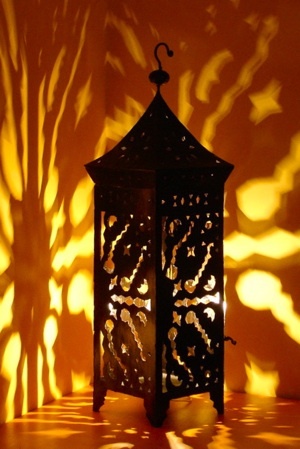 It's wired with a light sensor so that the lantern lights up at sunset all year round. All four sides of this tall lantern, and the pagoda shaped roof, have been hand drilled to create a delicate lacy appearance. 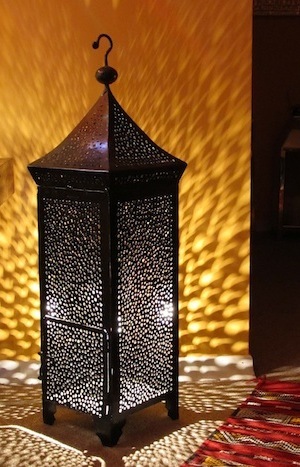 The lantern has a glossy black finish, and good sized door to enable insertion of a large pillar candle. 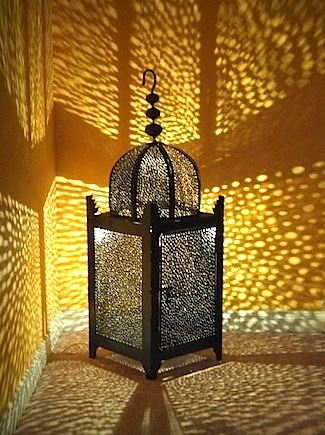 An appealing larger lantern with a wide door to allow for insertion of a big pillar candle. 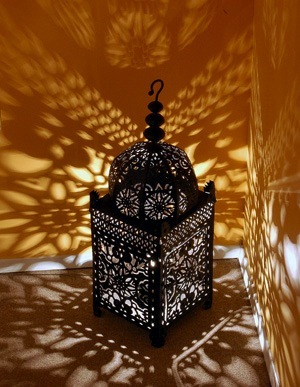 The closely chiselled pattern makes for an effective windbreak to shield the candle flame.